Hoping to stem the growing tide of unrest, Chancellor Valorum convenes an emergency trade summit on the planet Eriadu. 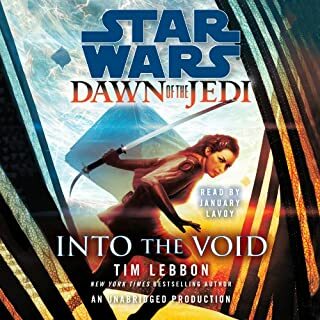 A group of Jedi Knights is sent to protect the delegates from possible terrorist attack, but what should have been a simple peacekeeping assignment turns out to be a mission into the heart of a political firestorm. For shadowy forces are at work, pulling the strings in a bid for power that could leave the Republic reeling. And the chancellor is only the most visible victim. Fourteen-year-old Anakin Skywalker is strong in the ways of the Force. His lightsaber skills are exceptional, and his piloting is legendary. He should be an ideal Jedi apprentice. And yet, there is so much he still has to learn. It is up to Obi-Wan Kenobi to teach him these things. But on a mission to a planet threatened by a toxic disaster, Obi-Wan and Anakin are separated. Anakin and three other apprentices - one of them his rival - must work together in order to survive. Anakin's instincts are clear...but are they right? Anakin Skywalker's destiny will determine the future of a galaxy. These are the events that form his fate. More in the Jedi Quest series we have. And listen to all of our Star Wars titles you can! My 9 year old son really enjoyed this story. He whipped thru listening to this in 2 days! He loved the sound effects in between chapters. We're on to book #2! 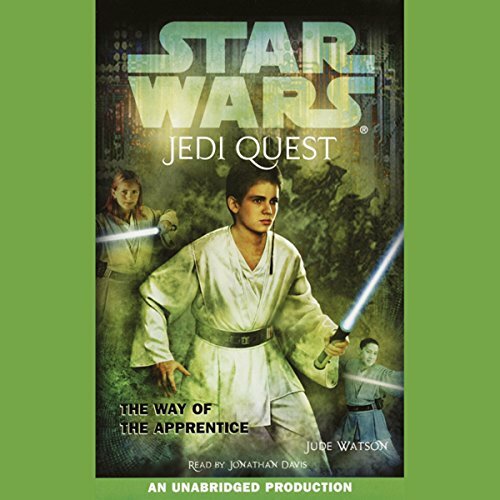 Would you listen to Star Wars: Jedi Quest, Book 1: The Way of the Apprentice again? Why? Yes I would. I first read this story back when I was in middle school. 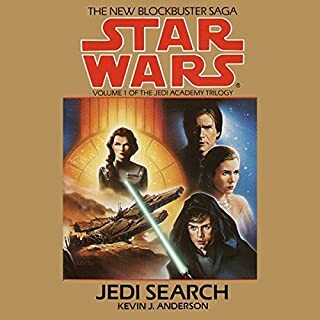 My school library had it and while my memory is a little foggy subject, I am pretty sure it was the very first Star Wars book I finished that wasn't a novelization of the movies. So I told myself to check it out for nostalgia's sake. It was even better than I remembered with the audible production enhancing the already good experience. 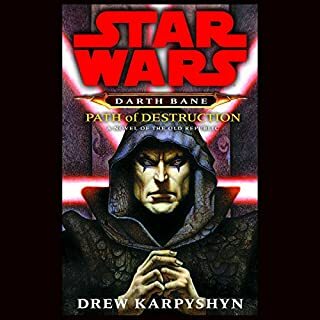 So yes, I would definitely check out the book that introduced me the Expanded Universe again. In fact, I just may recommend it to new generation Star Wars fans from my old school next time I go there. The characters. They were all written remarkably well for a book leaning on the short side of the spectrum. I really enjoyed how they interacted with one another. Like Obi-wan and Siri who have been on numerous missions together during the Jedi Apprentice series set earlier in the chronology. It shows here that they are a great duo when they need to pair up for a mission. Anakin and Tru's friendship developed organically and I liked how it progress through story. 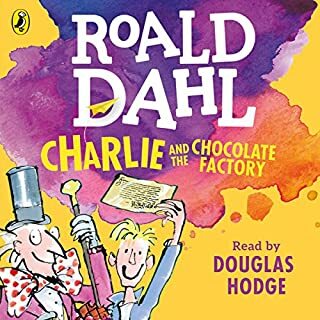 Darra had quite some entertaining choices of words when speaking that made her character enjoyable and more relatable to younger readers; which is the targeted demographic at the end of the day. 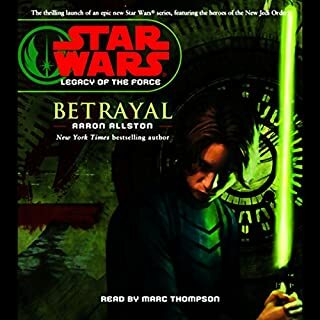 Jude Watson also writes young Anakin really, really well. You can really feel the essence of the character from Episode I & II while empatizing with his troubles and aspirations, even if you can't bring yourself to agree with his opinions and decisions all the time. And Ferus Olin...where to begin? 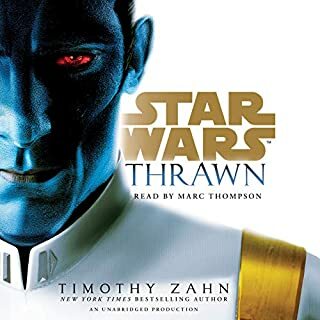 I enjoyed him quite a bit as a character on its own, but it was his rivalry with Anakin that made for the best interaction between two characters in the entire book. That last chat they had near the end cemented Olin's place as a character to watch out for. 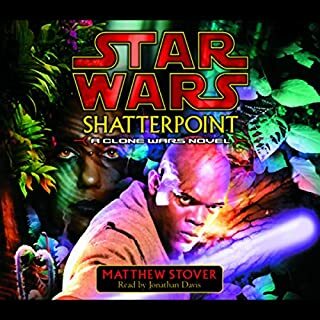 I have listen to plenty of Star Wars audiobooks narrated by Jonathan Davis. 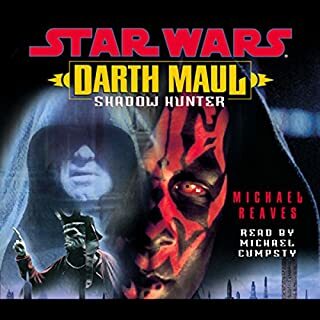 Some of my favorite legends books from the Prequel Era were narrated by him, like Star Wars: Kenobi and Maul: Lockdown and ahis Lords of the Sith performance in the Canon continuity was excellent. So I am happy to say that he mantained the high performance standards I have come to expect from him in this book. Every character felt distinctive in their own ways and like always, he makes an excellent impression of Prequel era Obi-wan. Yes and given the short length compared to most Star Wars unabridged productions I probably would have but the electricity shut down in my neighborhood while I was about a third of the way through I had to save the battery power of my cellphone. The interruption was corrected in my next sitting. 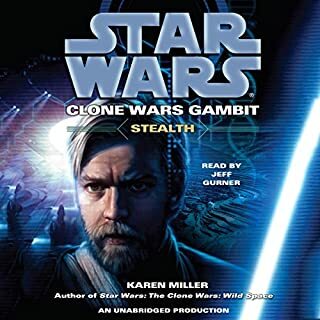 I don't know if Audible and Disney realize the potential gold mine they have in their hands. The Jedi Quest series is a fantastic Star Wars book series for younger readers. Only its first 4 books have an audible production from what I see. 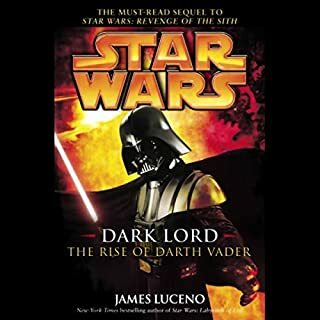 I already recommended my old school to buy the physical copies of the first 4 books because most of the elementary and middle school have been devouring what Star Wars books and comics are available there since The Force Awakens and Rogue One movies greatly increased their interest in the franchise. But really, Audible could certainly benefit from producing unabridged productions for the rest of the short novels. 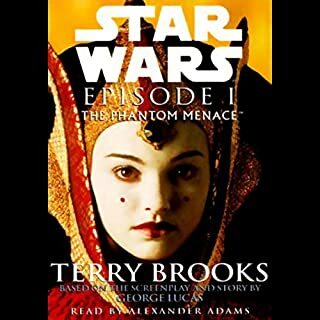 Besides, the New Canon Star Wars books is currently much smaller than the Legends continuity and most of the audio productions that are in existance from the new conttinuity are not really for younger readers. 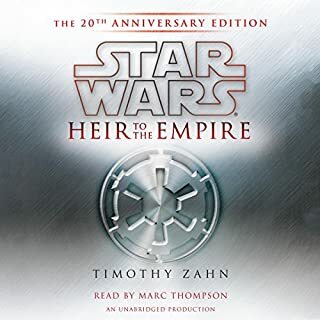 For example, I had a blast listening to Lords of the Sith but even I was horrified at the last command Emperor Sidious gave Lord Vader in the story. Kids and young teens would end up with nightmares instead and possible get turned off from more Star Wars books, at least for a while. 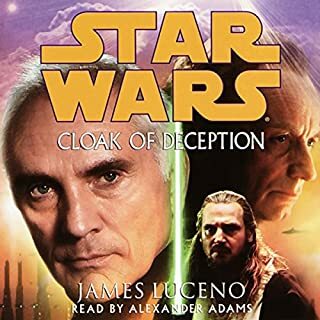 Audible could really use some great SW books aimed at younger kids and teens and the Jedi Quest series would be great for that. P.S. 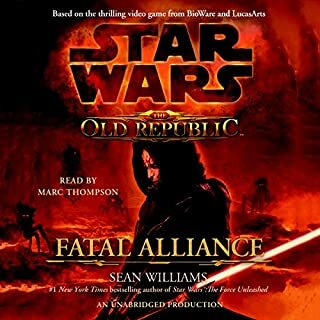 The canon Servants of the Empire tetralogy aimed at the demographic I was talking about would also fit the bill while remaining unbridged and not overly long. Kids would love it as well. 8 year old loved it! Yes. Very entertaining story for sci fi fans. Kept my 8 year old son absolutely captivated! An authentic and engaging reader. Good book to listen to in the car while traveling. Overall the book was ok.
As an adult, I felt it was a bit watered down but since the target demographic is children, I can overlook that. What I cannot abide is the incorrect usage of parsec. It’s not even a fictional measurement, it is an actual measurement that is between 19 and 20 trillion miles. This is an ideal book for kids. I even enjoyed it. I just like Star Wars. 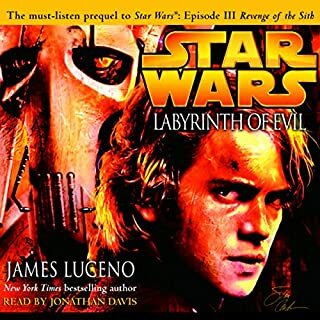 Great book, I will recommend this series to all younger star wars fans and Palawan's to be. 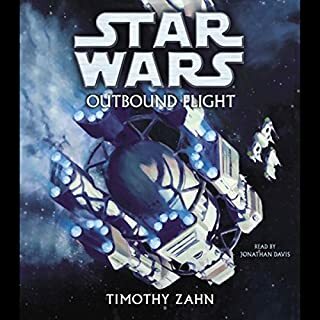 Great book for kids and also fun for adults who are into the Star Wars universe. Especially if someone has a soft spot for the dynamics of Obiwan and Anakin's Master-Padawan relationship! I am looking forward to listening to this book with my own son. The story can help teach lessons of teamwork and friendship. 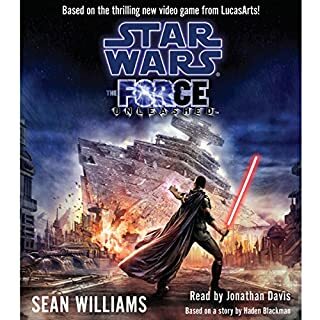 This is a story for children but if one is a Star Wars fan it is nice to see the universe getting fleshed out a bit more. The narrator does a great job. The sound effects are very immersive. Children and adults alike will enjoy this book. 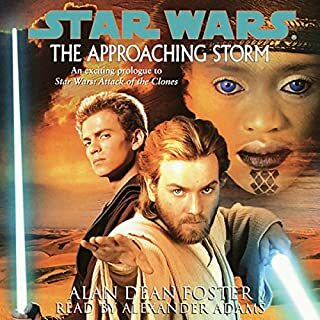 On the surface a simple story, but with more complicated undertones particularly concerning the development of Anakin Skywalker’s personality and his relationship with his Jedi master. As a Star Wars fan it was a great way to spend a few hours!